I can distinctly remember the sound of the recess bell. Like a cross between an old-school alarm clock and a fire bell. And I can remember the adrenaline rush and relief that sound brought. Freedom! Recess came up in conversation the other day and those recess memories came flooding back for me. I thought: why don’t we have recess at work? I decided to try it out at Lux. At 3pm a few days later, I yelled: “Recess!” and then walked around encouraging people to get up from their desks. We’re a small office so this was pretty easy to pull off. A little confused, but intrigued, the team gravitated to the kitchen. I wanted it to feel as natural as possible so I just lay out one rule: no work talk. Someone started to tell a story, someone offered a piece of the dessert they’d brought in and conversation soon flowed. Recess ended organically about 10 minutes later when someone took a call or felt the pull to finish an email and the others followed. Three months later and recess is now a part of our workday. Someone has downloaded the recess bell, plays it at 3pm, and that’s our cue to get up. It strengthens our culture. Stories, jokes, “did you see such and such on SNL last week”; we’re quickly laughing and chatting away. It energizes us. Rather than reaching for coffee, our moods are lifted by each other’s energy. It gets us away from our desk. If sitting is the new smoking, several of us are borderline chainsmokers. It’s too easy to keep sitting. Among other recess activities, we’ve watched 80s videos, named all 50 states and made ice cream runs. The structure of the work day itself does not change. We don’t come in 10 minutes earlier or leave 10 minutes later. 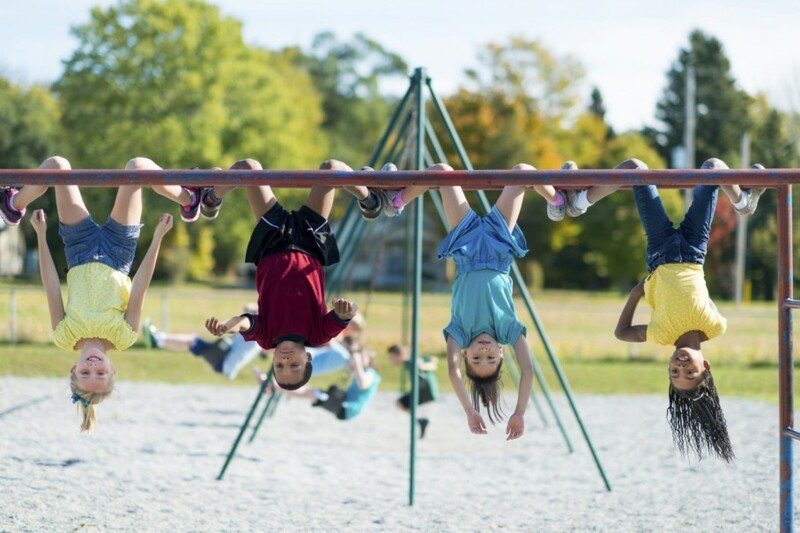 Recess is just part of our day. And in the end, everyone wins – we get an energy boost and our clients get better work. A big thank you for the idea goes to Vivian Caporale at Coast Capital Savings who does weekly recess with her team. They meet on Wednesdays for 15 minutes at 10:30am and have a rotating schedule where someone brings in a treat to share. The expectation is that they all make time to show up and spend the time together to chat about non-work stuff. Whether you do it weekly or daily, recess rewards everyone.